Ioannis (Yianni) V. Floros is Assistant Professor at the University of Wisconsin-Milwaukee. He was prior the Dean’s Faculty Fellow in Finance and Associate Professor at Iowa State University. His academic research appears in leading journals such the Journal of Financial Economics, the Journal of Financial and Quantitative Analysis, and the Journal of Financial Intermediation. Dr. Floros taught undergraduate and graduate courses at the University of Pittsburgh, at Iowa State University, at DePaul University, at the University of Wisconsin-Milwaukee and at Zurich Elite Business School. During the time period of 2012-2013, Dr. Floros was a Visiting Academic Fellow at the U.S. Securities and Exchange Commission. 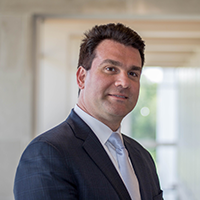 While working at the U.S. Securities and Exchange Commission, Dr. Floros has served as the leading economist in rules related to the JOBS Act (Regulation A+ exemption) and participated in the formation of the economic baseline and the cost-benefit analysis of Dodd-Frank rules (Asset backed securities-risk retention). Dr. Floros also researched fraudulent activities conducted in OTC markets. Prior to joining academia, Dr. Floros has also worked for Accenture S.A. as a senior financial consultant where he was involved in asset & liability management, implementation of integrated treasury systems and data migration projects. Dr. Floros is one of the founding members of the Dream Exchange, LLC. Dr. Floros holds a Ph.D. degree in Business Administration from University of Pittsburgh, an M.Sc. degree in Economics and Finance from Warwick Business School and a B.Sc. degree in Economics from the University of Piraeus.